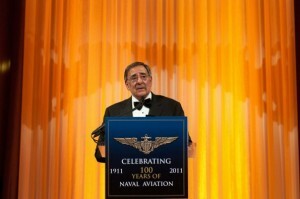 100th Anniversary of Naval Aviation - DatocWitten Group - Strategic Event Planning and Fundraising. Official Wreath Laying Ceremony at US Navy Memorial, with: The Duke of York; VADM Allen Myers, USN, Commander, Naval Air Forces; LtGen Terry Robling, USMC, Deputy Commandant for Aviation; and, VADM John P. Currier, USCG, Deputy Commandant for Mission Support. Pre-Flight Reception at the Smithsonian National Air and Space Museum, with CAPT Tom Hudner, USN, Ret, Medal of Honor Recipient and more than 40 Flag Officers representing Navy, Marine Corps and Coast Guard aviators. Commemorative Gala at the National Building Museum with more than 550 guests including the Secretary of Defense, Senator John McCain, Vice Chairman of the Joint Chiefs of Staff, Chief of Naval Operations, Commandant of the Coast Guard, Assistant Commandant of the Marine Corps, and more than 50 Flag Officers, 15 Members of Congress and senior Department of Defense officials, as well as a Live Feed to the Aircraft Carrier USS George HW Bush, deployed at sea. Our scope of services included creating high impact design and production elements for the gala, complex list management and RSVP management, program development and production, print materials design and management, VIP management, sponsor stewardship for national sponsors, building a national and local host committee, raising local dollars to assist in covering the costs of the celebration and providing professional media services.